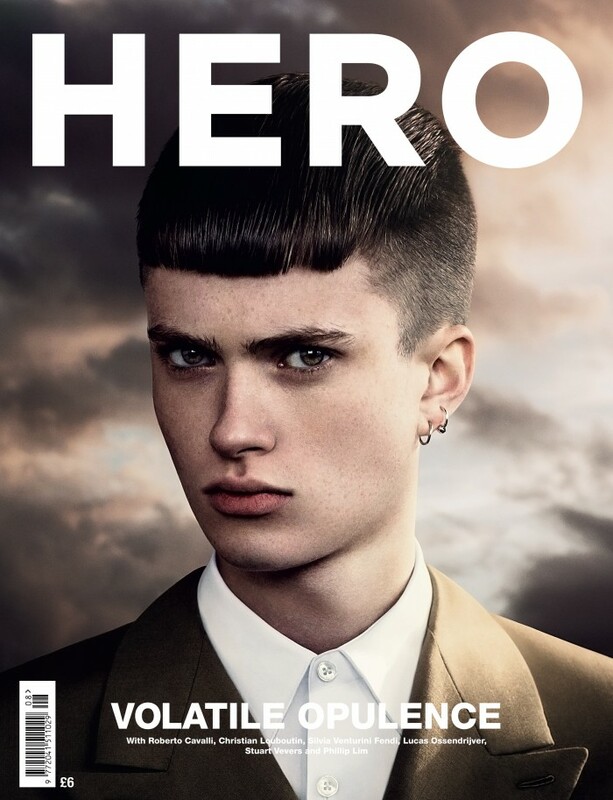 Finally, one of the best publications in menswear, HERO, has released its long-awaited 8th issue. 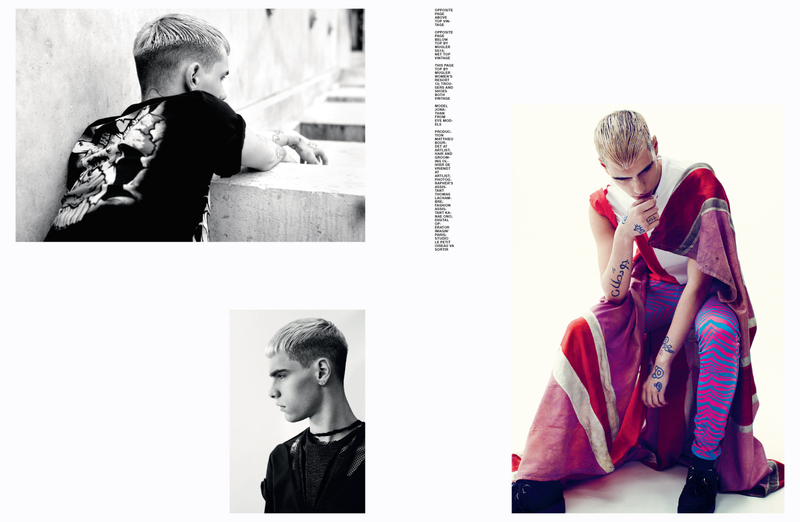 This story shot by Johan Sandberg and styled by Nicola Formichetti, modelled by Jonathan from Eye Models. 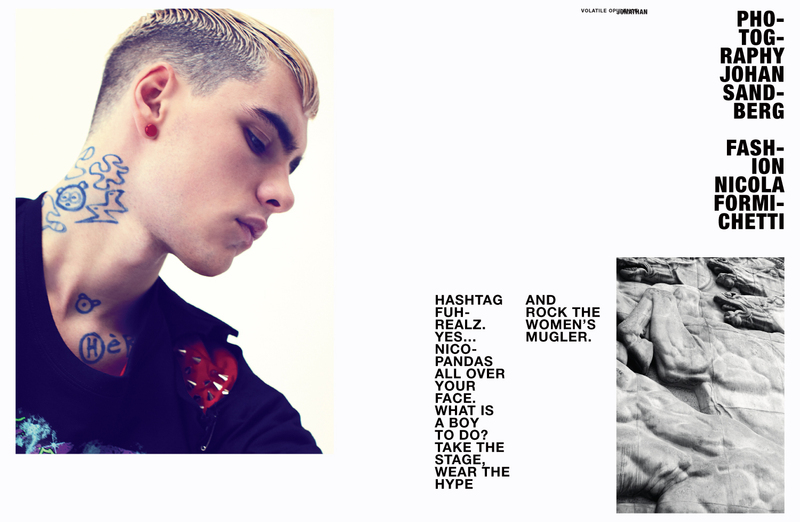 Nicola Formichetti mixes his amazing Nicopanda graffiti with current and vintage Mugler to produce a strong, conteporary youth-culture focused shoot. 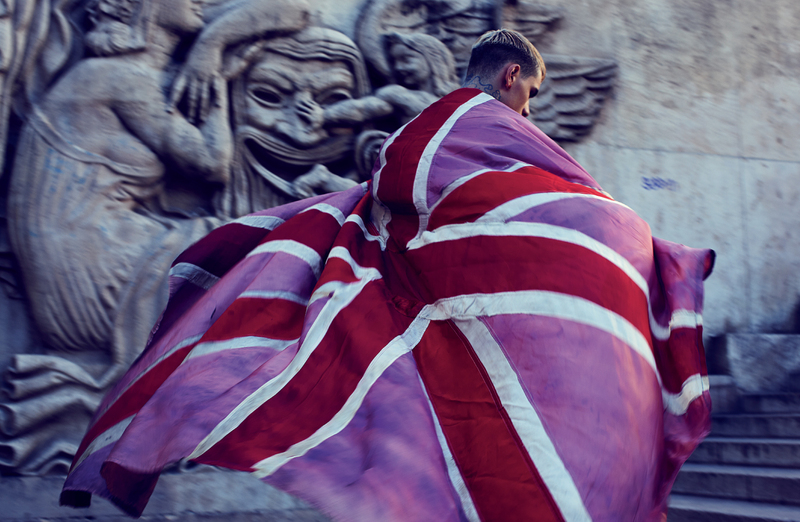 The pink and red British flag makes for a striking prop amongst the harsh blond hair and neo-classical architecture. Similarly, the shot above of the cover of DNA model Matt Ardell wearing SS13 Louis Vuitton by Christian Ferretti is a very stormy outlook onto the coming season; perhaps a comment onto the dark yet romantic place we find ourselves at the moment in the world. Aside from the stunning pieces from Vuitton, HERO 8 also features exclusive interviews with Roberto Cavalli, Silvia Venturini Fendi, Christian Louboutin, Lucas Ossendrijver from Lanvin and Stuart Vevers from Loewe. The issue is available here www.hero-zine.com/buy-her now, and a quick note that my very talented and extremely beautiful boyfriend, Brad Palmer, is credited for assisting on one of the shoots.